What makes the ultimate Sunday League footballer? YouTube star ChrisMD has turned amateur Sunday afternoon kick-arounds into a social media event - and now, for the first time, he's sharing all of his secrets. Join Chris as he reveals the characters, training tricks and top-level dietary regime (greasy sausage roll from the village cafe) that has got him where he is today. Chris's debut book also includes behind-the-scenes photos from his life as a YouTuber, plus his proudest moments, biggest embarrassments and favourite memories from his years of making videos with everyone from the Sidemen to his own family. 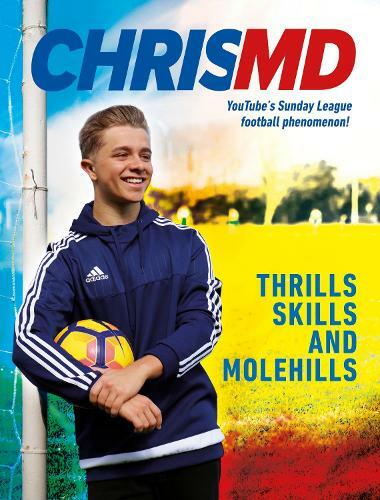 Thrills, Skills and Molehills Includes links to exclusive, never-before-seen ChrisMD videos. Perfect for fans of the F2 Freestylers books.